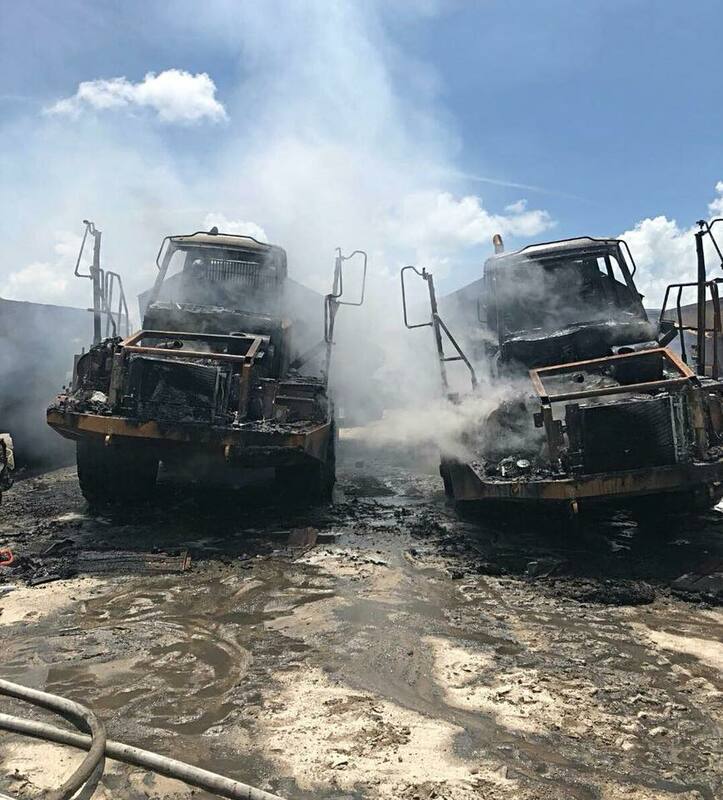 Indiantown, Fl- Investigators will determine if lightening caused more than $1,000,000 in damage to heavy construction equipment in Indiantown. Firefighters worked to save as much as they could at the site on the 13000 block of SW Minute Made Road in Indiantown Sunday. The call came in around 2pm. Martin County Sheriff’s Indiantown Units on patrol noticed smoke billowing from the site and responded. The equipment is owned by Blue Goose Construction.